We’ll use any excuse to hit Las Vegas, but covering the Michael Jordan Celebrity Invitational (MJCI) definitely qualifies as a trip we’re excited about. This 11th annual charity golf tournament will feature stars like NFL MVP Aaron Rodgers along with Ken Griffey, Jr., Wayne Gretzky, Roger Clemens, Brian Baumgartner, Brett Hull, Maury Povich and Chris Chelios. I’ll be reporting through the weekend here on the blog and you can also follow us on Twitter for photos and updates. I’ll also be staying at the incredible Aria Resort & Casino so this is shaping up to be a great weekend! It’s also for a number of great causes, as this is a charity golf tournament. Proceeds from the charitable tournament will benefit the Make-A-Wish Foundation, UC San Diego Nevada Cancer Institute, James R. Jordan Foundation, Opportunity Village and Cats Care, the NBA’s Charlotte Bobcats’ charity arm. 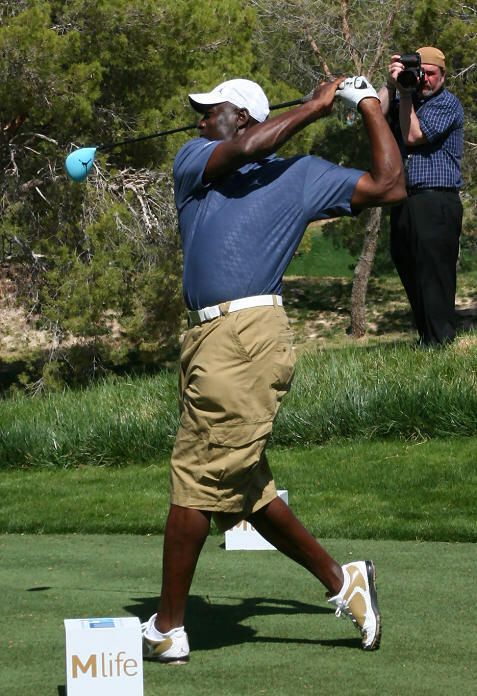 Since its inception in 2001, MJCI has raised more than $6 million for charity. The tournament is being held at the incredible Shadow Creek golf course, which is opening to the public for only the second time with this tournament. I’m looking forward to getting some great photos. VIP spectators will enjoy access to an unparalleled view of the course from the M life VIP tent, an openair venue featuring a “VIP Party Deck” overlooking the par-5, 18th hole, catering and a full-service bar. Discounted tickets are available for military service members with valid identification, and Senior Citizens 65 years of age or older with valid ID; both groups will receive 25 percent off a daily or weekly general admission ticket. Additionally, the tournament has created a special “Bring the Kids for Free” general admission ticket offer, which provides access to Shadow Creek for youth 16 years of age and younger when accompanied by a general admission ticketed adult (up to two children per paid adult). With the golf tournament with MJ and then the Final Four semi-finals on Saturday night, this should shape us as quite a weekend. I also get to enjoy all the amenities at the Aria and will also see the Cirque du Soleil Viva ELVIS show which should be incredible. I saw the Love show featuring music from The Beatles last year so I’m definitely looking forward to this Elvis show!